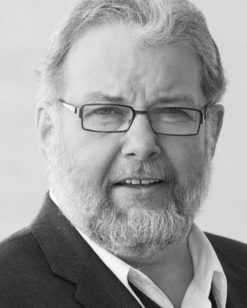 Bill Blaikie is Director of the Knowles-Woodsworth Centre for Theology and Public Policy at the University of Winnipeg. From 1979 to 2008, he was a Member of Parliament, and at various times deputy leader of the New Democratic Party, Dean of the House, and Deputy Speaker of the House. From 2009 to 2011 he served as MLA for Elmwood, and as Minister for Conservation and Government House Leader. He is an ordained minister in the United Church of Canada.